Centrifugal pumps are a sub-class of dynamic axisymmetric work-absorbing turbomachinery.Centrifugal pumps are used to transport fluids by the conversion of rotational kinetic energy to the hydrodynamic energy of the fluid flow.The rotational energy typically comes from an engine or electric motor.The fluid enters the pump impeller along or near to the rotating axis and is accelerated by the impeller,flowing radially outward into a diffuser or volute chamber (casing),from where it exits. 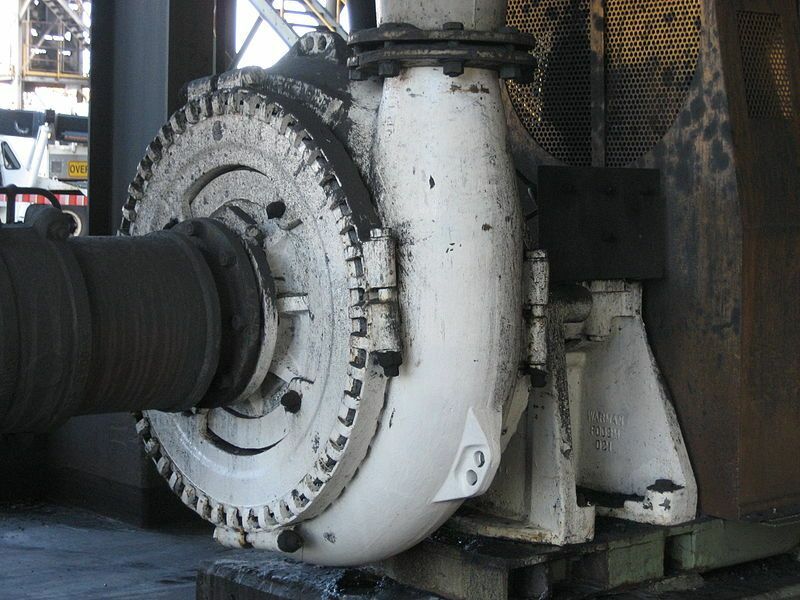 Common uses include air,water,sewage,petroleum and petrochemical pumping.The reverse function of the centrifugal pump is a water turbine converting potential energy of water pressure into mechanical rotational energy. According to Reti,the first machine that could be characterized as a centrifugal pump was a mud lifting machine which appeared as early as 1475 in a treatise by the Italian Renaissance engineer Francesco di Giorgio Martini.True centrifugal pumps were not developed until the late 17th century,when Denis Papin built one using straight vanes.The curved vane was introduced by British inventor John Appold in 1851. General explanation: Like most pumps,a centrifugal pump converts rotational energy,often from a motor,to energy in a moving fluid.A portion of the energy goes into kinetic energy of the fluid.Fluid enters axially through eye of the casing,is caught up in the impeller blades,and is whirled tangentially and radially outward until it leaves through all circumferential parts of the impeller into the diffuser part of the casing.The fluid gains both velocity and pressure while passing through the impeller.The doughnut-shaped diffuser,or scroll,section of the casing decelerates the flow and further increases the pressure.